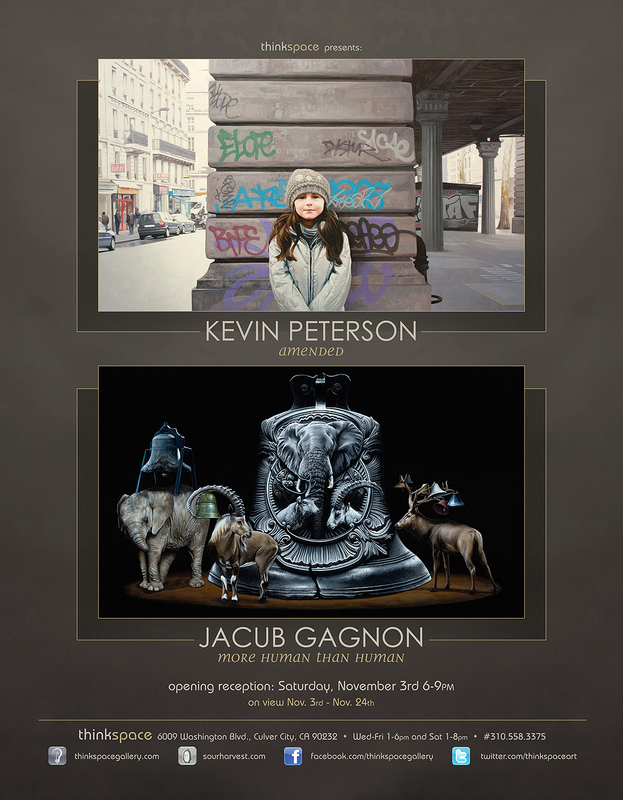 Thinkspace is pleased to present Amend, the gallery’s first solo exhibition of new work by Houston based painter Kevin Peterson. Peterson’s work is fundamentally motivated by the tension of unexpected juxtapositions; a device the artist uses to evoke psychic states, and affective associations. As an artist with a psychologically driven interest in his subject matter, his understated portrayals of isolation speak of subtle emotional estrangement and social alienation. Peterson extracts, with sensitive acuity, a shared state of human fissure and disconnect, a theme saliently represented within the imperfect context of the urban landscape. The dirty grittiness of urbanity is often the bereft backdrop for lonely portraits of innocent children, or for symbols of innocence degraded by the unrelenting havoc of their surroundings. The juxtaposition of these polarities forces us to reconsider subjectivity in context, and quite literally situates the subject as an enigmatic and contentious force within its environment; as something independent of, and yet intrinsically affected by, the conditions of its world. His empathetic depictions of these scenes betray the insights of someone who has perhaps suffered in kind. Despite the haunting sense of absence and loss that pervades these paintings, the possibility of innocence and beauty remains intact against desolate landscapes. In the face of decay and squalor something nonetheless exceeds its confines, and a sort of beautiful destitution prevails. The artist’s studies in psychology, and his subsequent struggle with addiction, have informed a very human depiction of dysfunction, loss, and estrangement. His paintings depict a contemporary reality defined by contradiction, irresolution, and imperfection, and yet they also remind us of the possibility of change. 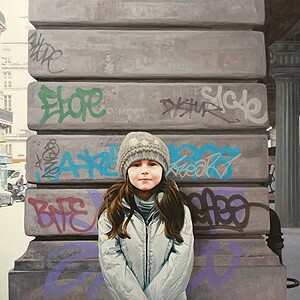 The realistically rendered figurative elements of the work are set against great expanses of surrounding negative space, effectively isolating the subject within the charged absence of the city. The artist plays with contradiction and expectation, and allows the concept of “self” to emerge as a complex and unresolved entity in a constant state of becoming.